Can pregnant women use tea tree oil? Topical use in the right way may be OK, but there may be some side effects. Consult your doctor before using it. 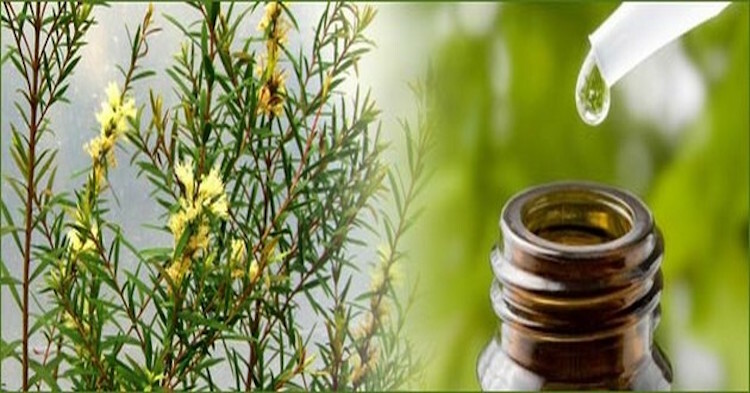 Melaleuca alternifolia or tea tree oil is an extract derived from plants, known for its antimicrobial properties. It effectively treats many infections on the skin surface such as fungal nail infection (onychomycosis), athlete’s foot, and acne. Pregnant woman often turn to herbal and botanical remedies in hopes that the natural alternatives are safe. It’s important to remember that even though it’s plant-based or herbal, don’t take the safety for granted. Be sure to research anything you want to take and speak with your doctor before starting the supplements, especially when pregnant. Can You Use Tea Tree Oil While Pregnant? When used topically in the right way, it should be safe during lactation and pregnancy. This is because there is some clinical evidence suggesting the proper dilution, when applied correctly, is safe for use even while pregnant. Even taking a small quantity of tea tree oil can cause trouble if you ingest it. You may see a reaction that ranges from discomfort to severe. Some symptoms you may see are abdominal pain, lethargy, confusion, diarrhea, burning in the mouth, immune system trouble and severe rash. Using tea tree oil while pregnant topically may cause redness, itching, irritation, rashes or even blistering. To minimize any side effects, you should make sure to dilute the tea tree oil with another oil. This oil can make skin dry, with the changes your skin can undergo while pregnant, conditions may be exacerbated. If you have a condition like eczema, you are more likely to have a bad reaction to the topical use. Tea tree oil can make natural or spontaneous contractions less effective. These ineffective contractions can prolong labor which can lead to a Cesarean. It only takes 5 ml of tea tree oil while pregnant to be toxic to a small child. With an unborn child, even less can be toxic. It is highly recommended that those who are pregnant only use tea tree oil under a doctor’s supervision. It’s also important to avoid it when breastfeeding. The only time tea tree oil should be used in its pure form is in the treatment of nail fungus. For this, apply oil drops two times a day, and the difficult infection should resolve in three to six months. Those with athlete’s foot may use a 25-50 percent concentration twice a day to see results. It is effective in about half of patients. Those with acne only need to use about a 5 percent concentration. Besides tea tree oil while pregnant, check other essential oils here. Some essential oils are fine to use when pregnant as long as you are careful. They are highly concentrated plant extracts and powerful, so you must use the sparingly. It’s important to make sure you get top-notch oils. They are often used in aromatherapy, often useful for many problems. There are chemicals in the oils that your body will absorb. You can vaporize them or use a carrier oil and massage it into your skin. These oils work similar to medicine. The molecules are small and can cross the placenta and enter your baby’s circulation. There aren’t many studies on the effects of essential oils to an unborn child. Aromatherapy can be very helpful in easing swollen ankles, nausea or backache. Only try one drop at a time. Try not to use for prolonged periods. Make sure to dilute the essential oil with 5ml of a base oil such as grapeseed or sweet almond, to every essential oil drop. A could of drops can be used in a vaporizer, but don’t use for more than 10 or 15 minutes per hour. If you leave it on too long it can make you nauseous. It’s better to use after the first trimester. If you use them during the first trimester, then be sure to consult an aromatherapist. Rosemary may cause contractions or raise blood pressure. Rose and Sage can cause uterus bleeding. Nutmeg may react with pain-relieving drugs or cause hallucinations. Basil is believed to cause abnormal cell development. Clary sage and Jasmine may start contractions. Juniper berry can affect kidneys. Cinnamon leaf, citronella, cumin, thyme, aniseed, laurel and angelica can stimulate contractions so should be avoided. Lavender oil is one of the more confusing oils to use while pregnant. It’s often used to regulate periods. It doesn’t raise miscarriage risk while you’re pregnant, but some recommend against using it. Some have said to use clary sage to get labor started if a trained midwife is there to help. You don’t want to use this without guidance. You should make sure to consult your midwife or doctor before starting essential oils.